Yovani is a native Washingtonian who grew up in the neighborhoods around the shop. 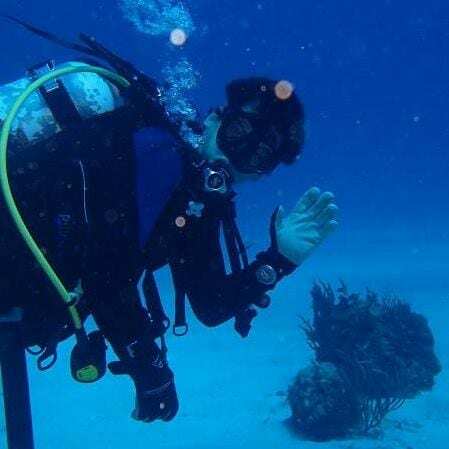 In 2006, Yovani and his wife obtained their Open Water Diver certification with us and dove on their honeymoon in Italy. A few years later, Yovani joined us on one of our dive trips to the Outer Banks and decided that he wanted to become a dive professional. From 2010-2013, Yovani worked his way through the ranks culminating in his PADI Open Water Scuba Instructor certification. Yovani, like all of our staff, is passionate about scuba and is looking forward to share his expertise, experiences, and knowledge. Yovani loves to dive in all sorts of environments including Puerto Rico, Mexico, North Carolina, California, and Florida.